The honorary president of Turkey's Supreme Court, Hamdi Yaver Aktan has weighed in on one of biggest controversies of the upcoming local elections to say that Binali Yıldırım must resign as speaker of parliament in order to run as a mayoral candidate, Cumhuriyet reported on Friday. Yıldırım, the ruling Justice and Development Party (AKP)’s candidate for Istanbul, has faced criticism for running in election while serving as speaker of parliament. 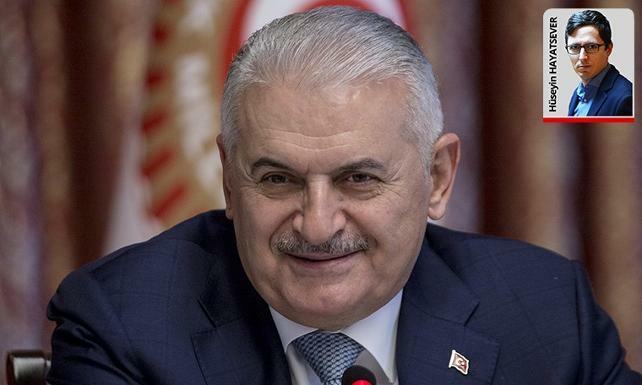 By law, the speaker is barred from engaging in political activity, but Yıldırım has brushed off criticism and refused to step down during his campaign. “We are not doing any political activity. Elections are not political activities,” Yıldırım told reporters in Ankara on Jan. 10. Aktan, however, has said elections were without any doubt political activities and warned Yıldırım he will be violating the constitution if he does not resign. “It is impossible to say that running as a mayoral candidate is not political activity. Both domestic and universal law see this as political activity,” Cumhuriyet quoted Aktan as saying. Moreover, he said, the local elections in Istanbul would be cancelled if Yıldırım does not step down. “The speaker and vice-speakers of the Grand National Assembly of Turkey cannot participate, within or outside the Assembly, in the activities of the political party or party group in which they are a member,” Article 94 of the constitution says. Turkey will hold nationwide elections to choose local representatives for the country’s cities and districts on March 31. Turkish citizens will elect more than 20,000 officials, including mayors to city and district councils, including 30 large metropolitan areas. İstifası tartışılan TBMM Başkanı Yıldırım, tüm adaylara ‘istifa edin’ çağrısında bulundu.